One thing I miss doing here is joining weekly meme’s. I don’t remember anymore the last time I joined Pink Fridays. The reason- I lost the photos I have prepared when my notebook crushed a month ago. And, I could not find another photo to share in my facebook photo album. So, when I saw a pink lunch box during the Nutrition month culmination program in school where the little one is enrolled I immediately remember Pink Fridays. 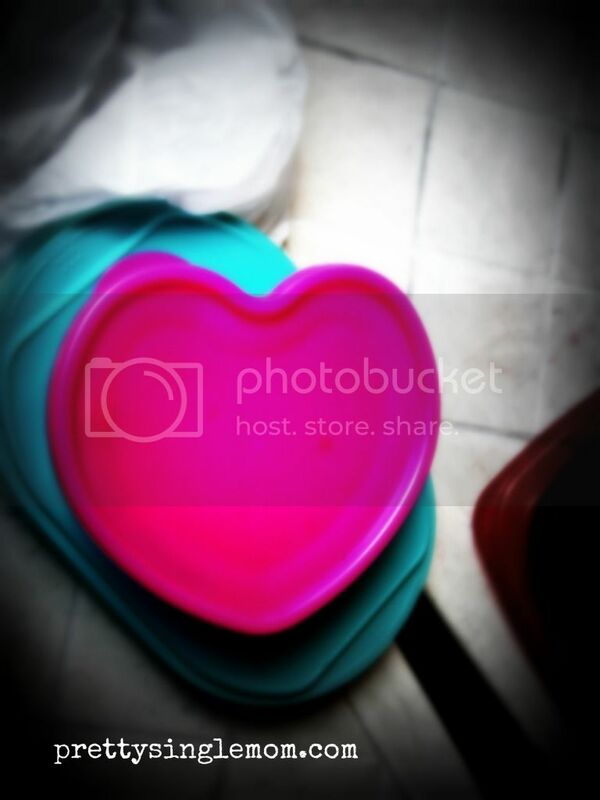 When I first saw this heart pink lunch box I find it cute ad girly. Well, no wonder as the owner of the lunch box is a girl.. hahahaha… so here is here..
How are about you? What is your share for this week? that's cute! It shows you love your lunch! :)) dropping by from pink fridays! aw this is a cute lunch box. i love it! Very sweet colors, delicious heart. Good thing that you have a pink heart lunch box and your back in playing meme's. Welcome back! I am new in meme's too.